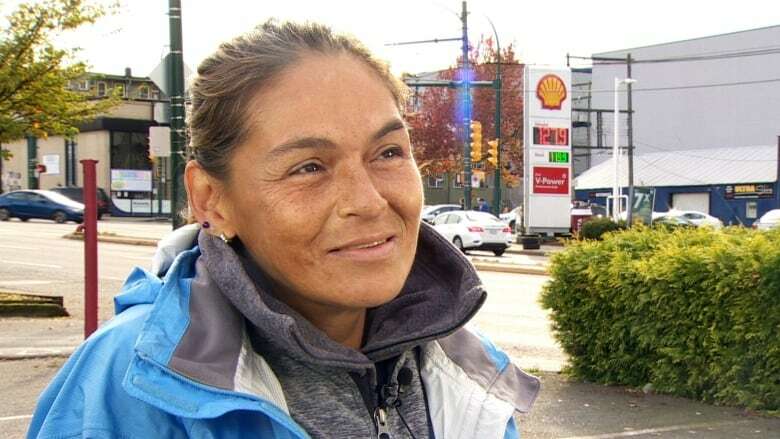 While politicians and minor celebrities have played at getting by on only $18 for food this week as part of the Welfare Food Challenge, Georgina Starr has been doing it for real on the streets of Vancouver. She often goes to bed hungry, under a tarp and tent alongside her husband Dan. "I couldn't survive in a week with $18, especially for food," she said. "It's really difficult." "It's like, $1,000 for rent. And I can't really afford $1,000 for rent." Starr has multiple sclerosis and fibromyalgia; her husband has stomach cancer. They have been on welfare for two years, since they moved to Vancouver from Edmonton. They collect bottles and cans to supplement their meagre income. On Saturday, Starr started crying after two young women mocked her as she picked through a bin. "It's not fun looking in the recycling bins for cans and that. Sometimes it's nasty, but you've got to do what you've got to do to survive," she said. "The government could help more by giving us more money to survive for rent and food. It's not fair. They live in a comfortable home and get to eat every night. But what about people on welfare?" To help people like Starr, advocacy group Raise the Rates is trying to get the provincial government to increase the money it gives to the province's most vulnerable. The group says the current rate — $610 per month, the same rate it's been for the last nine years — doesn't cover basic costs like food and shelter. 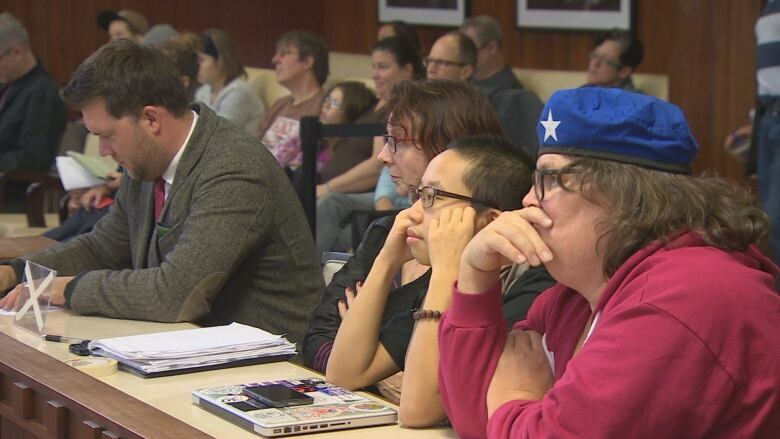 The group hosted a town hall at Vancouver City Hall to mark the end of the Welfare Food Challenge and share ideas on what can be done to help people like Starr. Organizers insist that welfare rates need to become an issue during the next provincial election in May 2017. Jenny Kwan, NDP MP for Vancouver East, told the dozen or so people in attendance that she failed at the challenge by mid-week, when she spent $17 for medication to help with the flu. "It just goes to show you how easy it is for someone living in poverty to not have the means to live within their budget," she said. "It's simply not dignified to have to live that way." That's a notion Starr and her husband are all too familiar with. "I just wish the wealthy would help the homeless. They just walk by us and we're nothing. We're people just like them."